This is my second day back to real life. 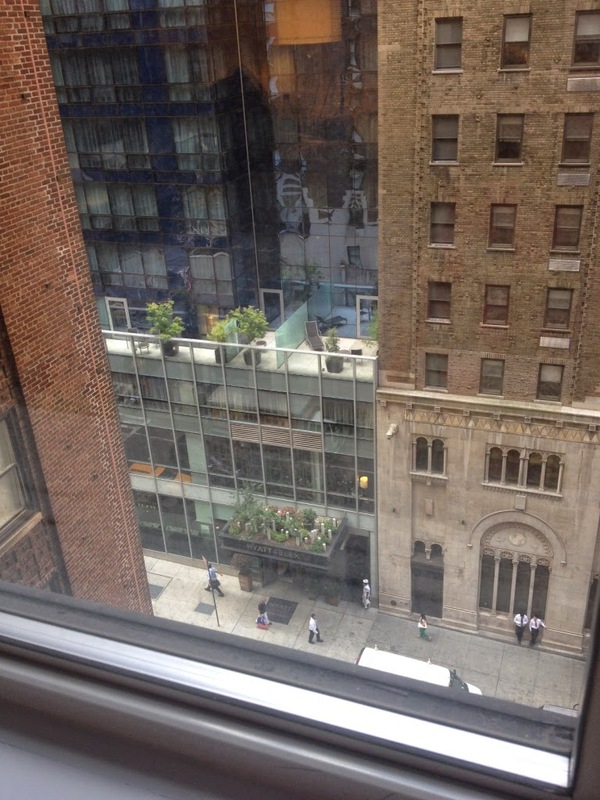 I am still playing catch-up at work, but the current craziness is so worth the experiences I had in New York City! My journey began last Wednesday evening with a flight out of SFO. 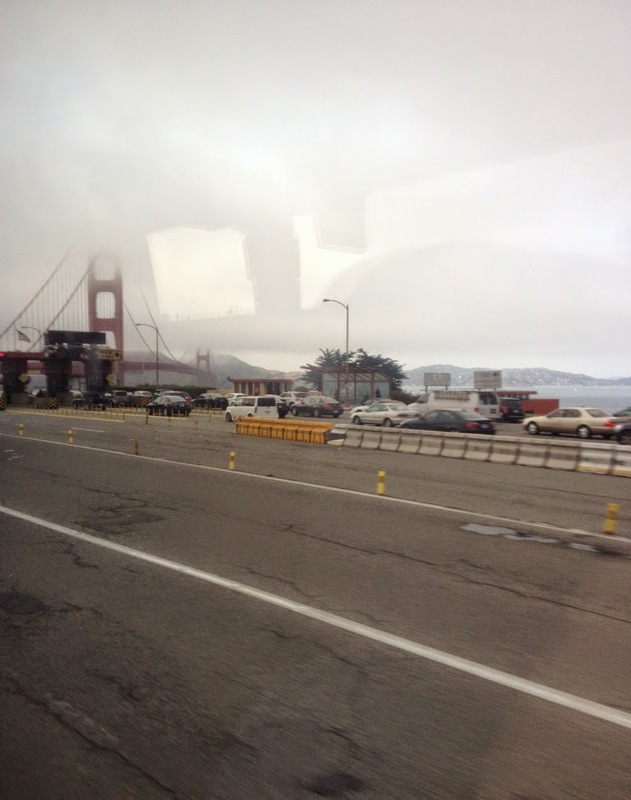 I drive myself into San Francisco with some frequency, but it was nice to take in the scenery on a bus, even if the air conditioning was not working and the ride was somewhat bumpy. 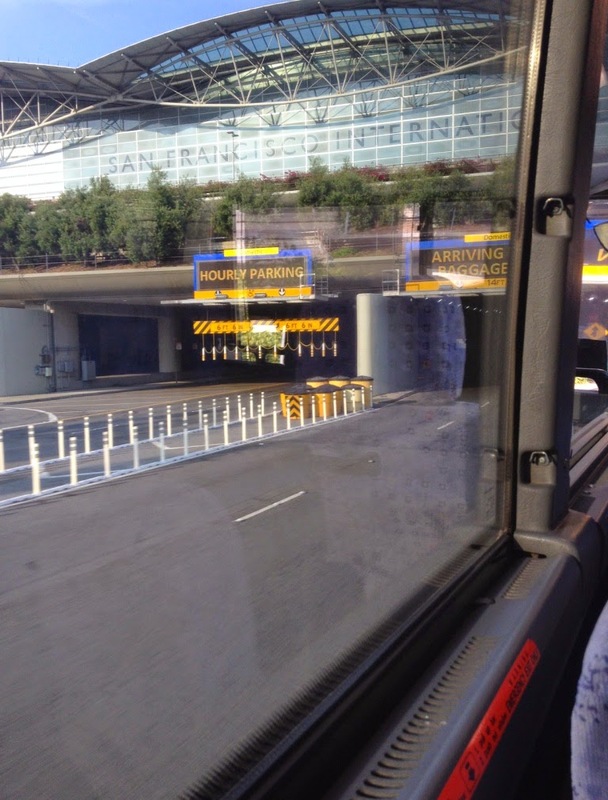 I arrived at JFK around 5:15 a.m. and was dropped off by bus in Manhattan way too early for check-in. The hotel was gracious enough to stash my luggage for a few hours, which was a huge relief! So, after dropping all that excess baggage, I got a second wind. It was a lovely morning. The streets were not crowded, and the temperature was perfect for walking. I started out heading towards Rockefeller Center. I wandered around until I ended up at the Library and sat down for a bit. 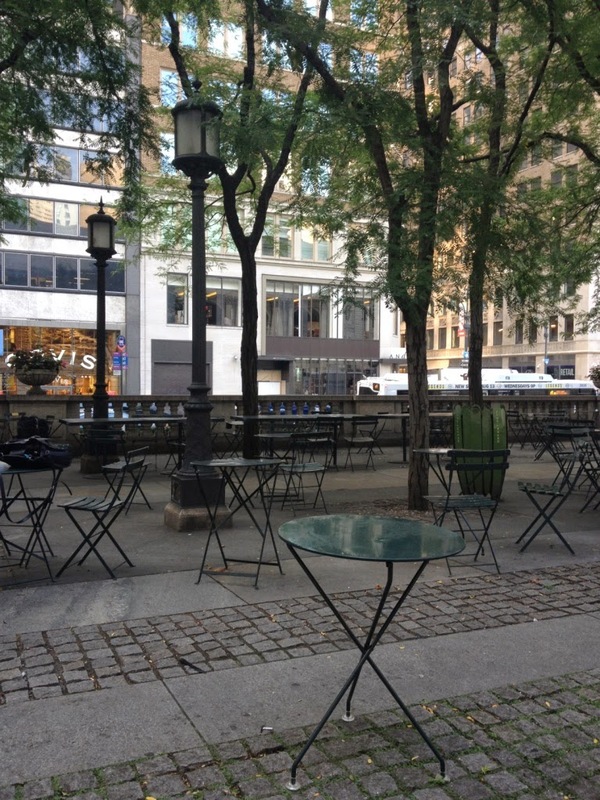 After a few close calls with the pigeons, I walked around the corner to Bryant Park. I have it on good authority that this place used to be rather sketchy and to be avoided at all costs, but that is hard to believe looking at it today! At that point, my phone battery was going to die, and my body needed some rest. Back at the hotel, I sat in the mezzanine level, charged my phone, and waited for my room. I ended up on the 9th floor - not very impressive, but definitely high enough for me. And having been up for over 24 hours, all I was really interested in was a place to sleep! After a quick nap, I needed to decide what I was going to do with my Thursday evening - no sense wasting it, right? I had a few suggestions for must-see theatre from a friend that spends quite a bit of time in New York, and the show that really had my interest was Lady Day at Emerson’s Bar & Grill. I ran into a Bay Area theatre director from my childhood at the theatre - what a small world, right?! The show was AMAZING! 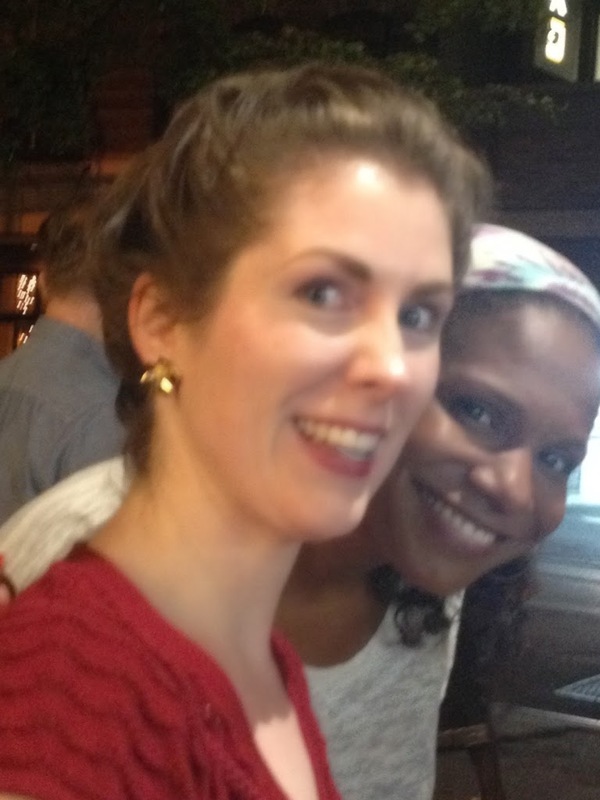 I know Audra (we are, of course, on a first name basis now! - ha!) has had quite a bit of movie and television success as of late, but she is truly spectacular in a live setting. And if you hang out long enough, the stars have to leave the building. So I had the opportunity to spend a few moments with her! 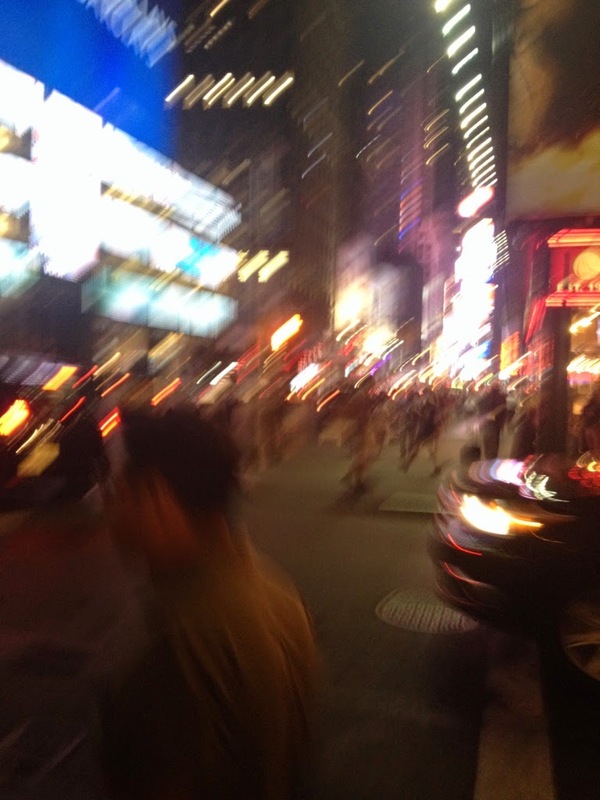 The walk back to the hotel was a bit of a blur. It had been a really long day. But so very enjoyable! Some landmarks were even starting to look familiar . 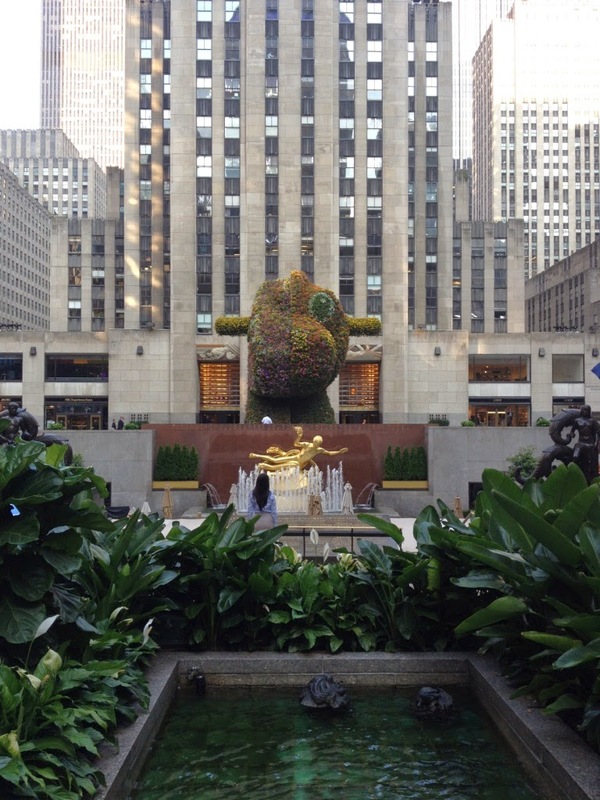 . . although no matter how long I stare at that strange topiary thing, it still looks like an eyesore to me. Oh well, I will just have to blot the image out with visions of Ms. McDonald in white, Charles James couture, and lots of gorgeous fabric! 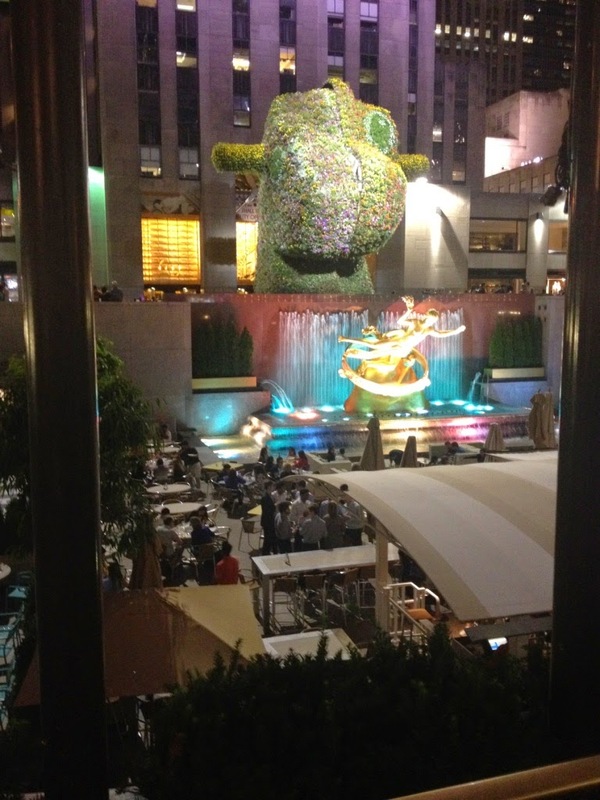 Looks like you had a great trip- I'm going to New York for the first time in 3 weeks so its great to pick up some tips from your blog of what there is to see other than the obvious main attractions! 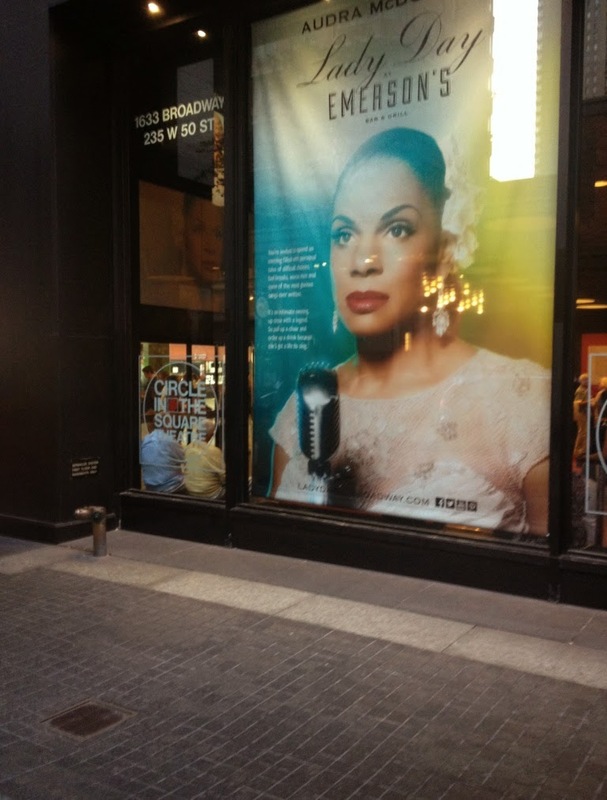 Good thing you have that selfie with Audra McDonald. Otherwise you might have thought you dreamt it! That topiary is a bit nightmarish! Did you fabric shop or is that another post? What an adventure! How long was the flight there? Glad you had a great time in NYC, sorry I couldn't touch base with you while you were here. 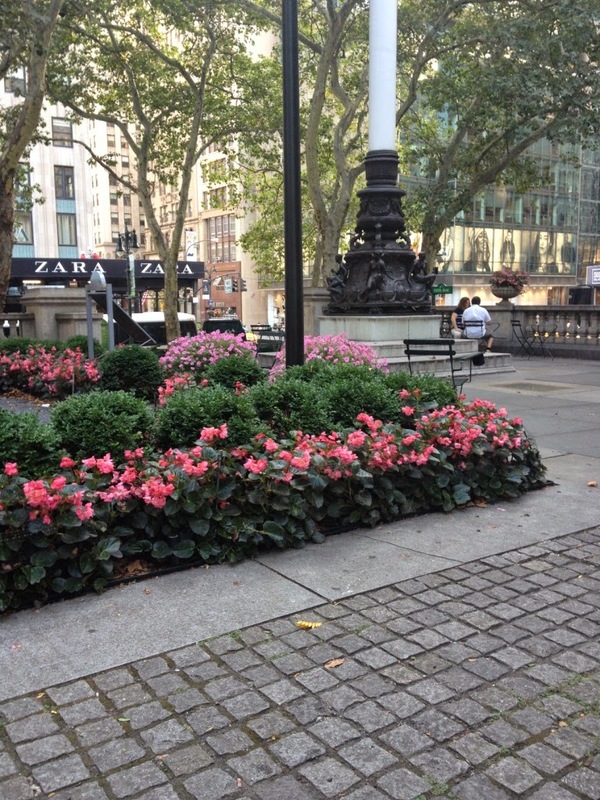 You are right about Bryant Park. 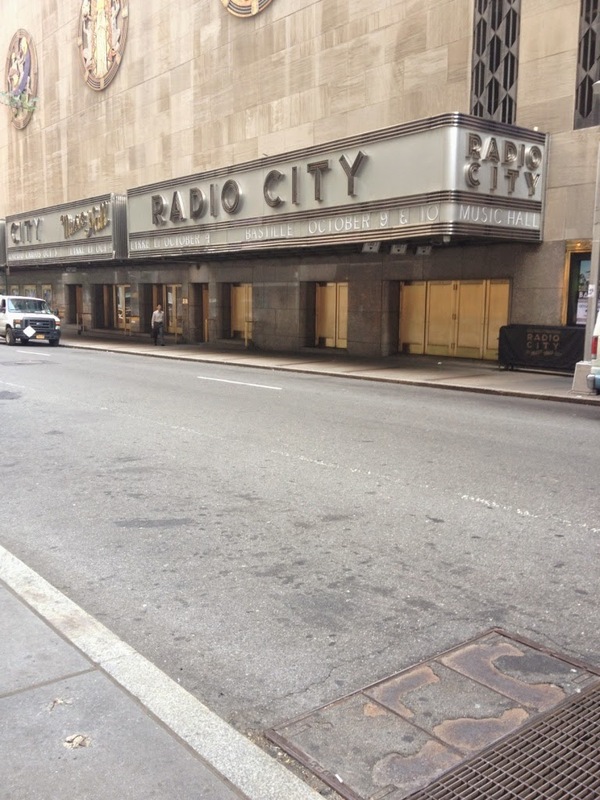 Years ago, I went to a training session just down the block from the subway station. 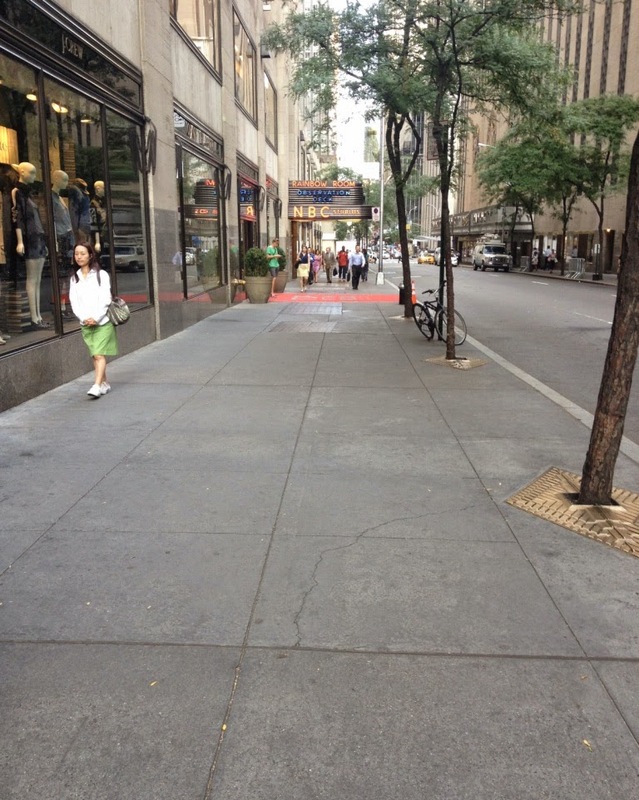 We were instructed to walk away from the most direct route through Bryant Park for safety. 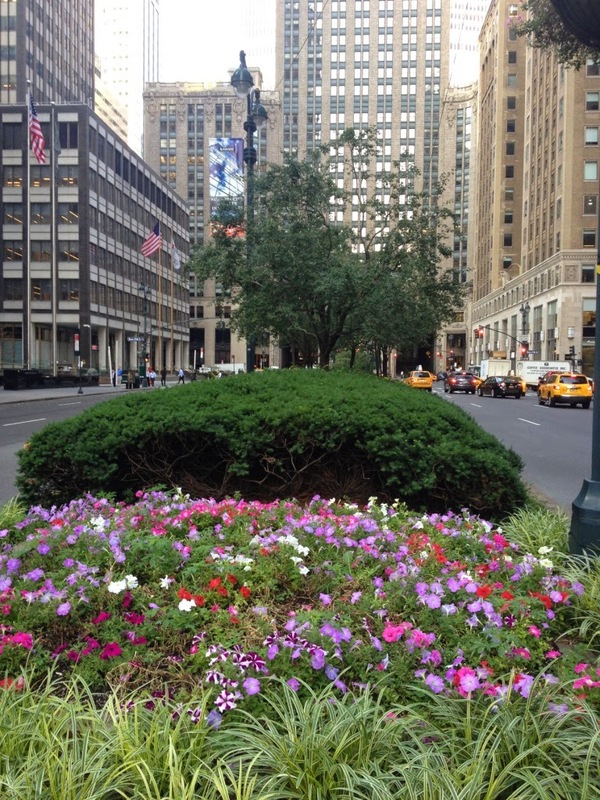 Later, when I worked in the area, I couldn't believe the difference in Bryant Park. 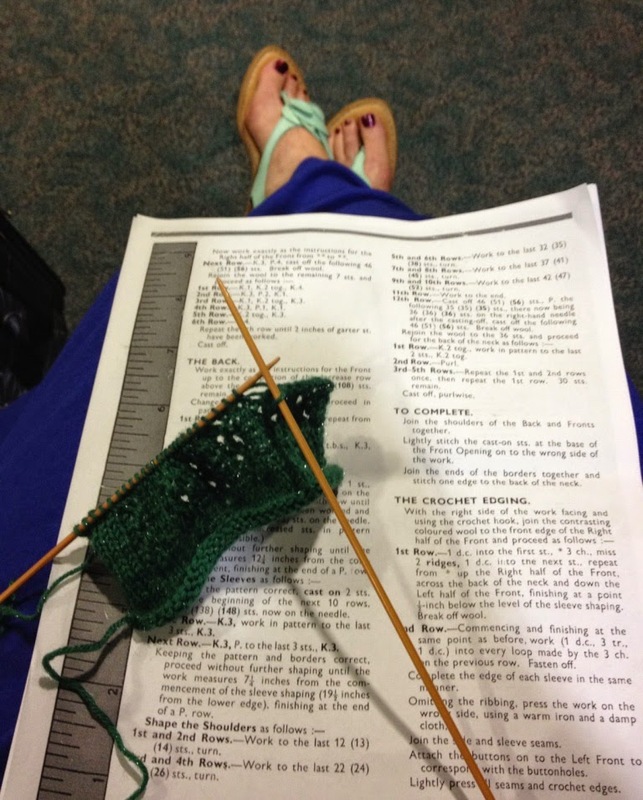 You travel better than you sew (and knit)!!! Such an amazing experience! I won't pelt you with a thousand questions, just three. 1. What did one wear to the Emerson's Bar & Grill? 2. Not being gauche, just wondering, did Willie and/or Freddie sleep with you. 3. Have you been persuaded to swap coasts? Your first day sounds like NY perfection to me! I thank you for the vicarious living photos of your trip. I am stunned, however, by the "well, shoulda thought of that one" RULER printed on the edge of the knitting pattern. Almost tempted to take the needles back up simply to use that idea (and then my left thumb whispers 'nooooooo'). 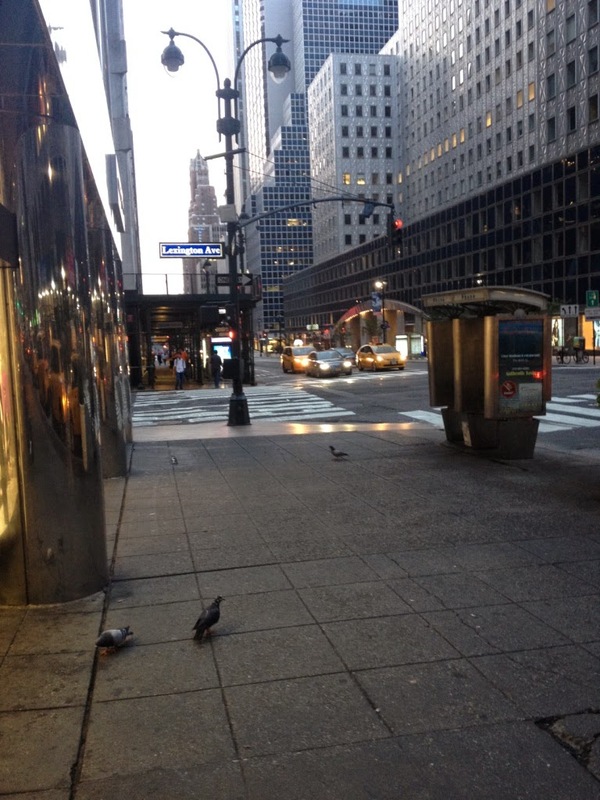 Thanks for sharing your New York experience!